Success Ladder Mathematics Classes is the No. 1 institute of mathematics. 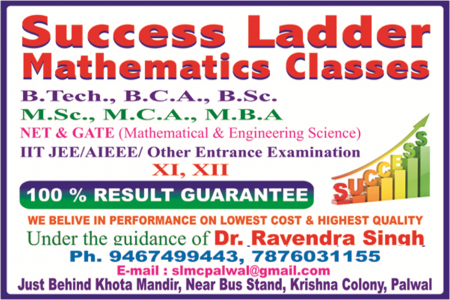 Success Ladder Classes of Science best coaching center in palwal. Success Ladder Classes of Science provide coaching for JEE/NDA/NEET / 11th/ 12th.